Let’s take a look at a few yellow cards from TB01! Yellow in The Tournament of Power is mostly focused on Universe 3　and Universe 11!! 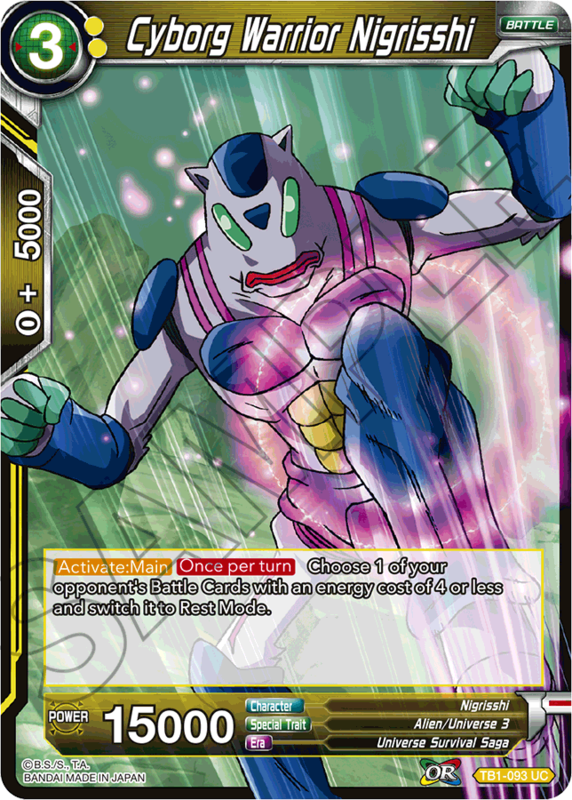 This card switches 2 of your Universe 11 cards to Active Mode! 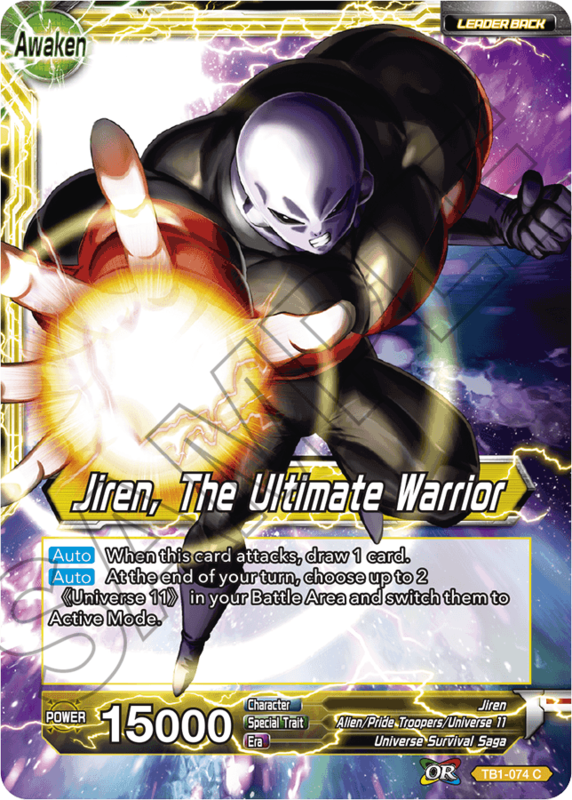 A great card to team up with the new SR Jiren! 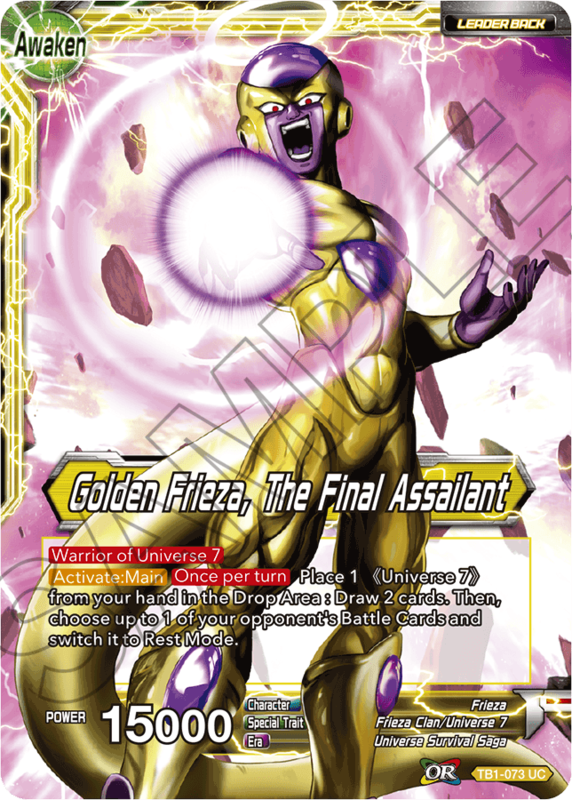 Yellow is a tricky color… and so is [Golden Frieza, The Final Assailant]! 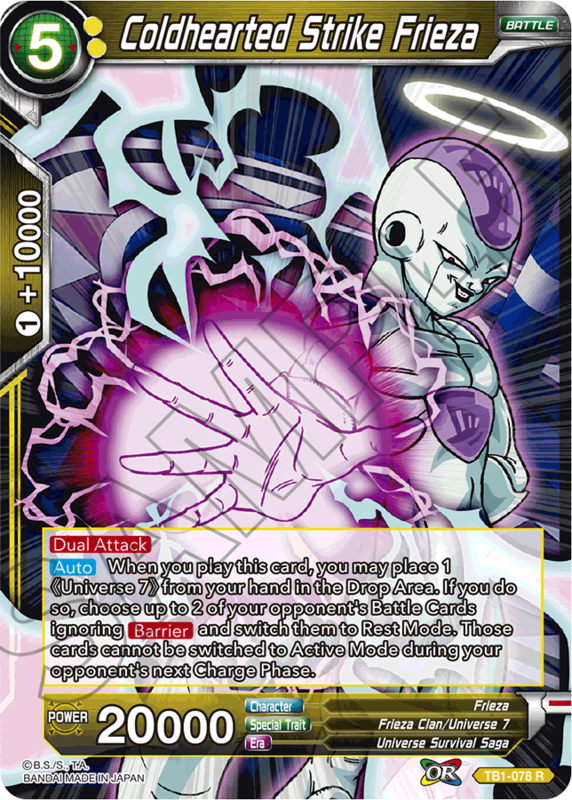 Discard Universe 7 cards to draw 2 cards and tamper your opponents Battle Cards with his unique skills! Call upon other Pride Troopers with Toppo! 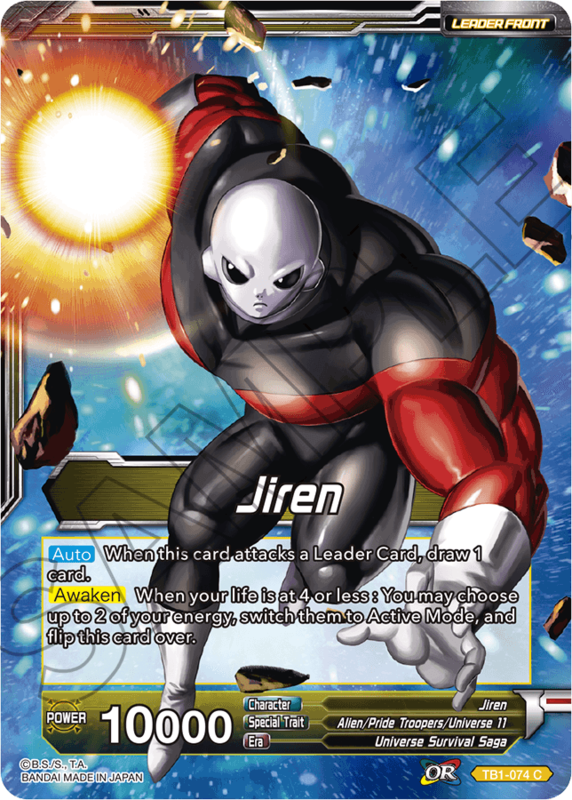 A great addition to a Jiren Leader deck! 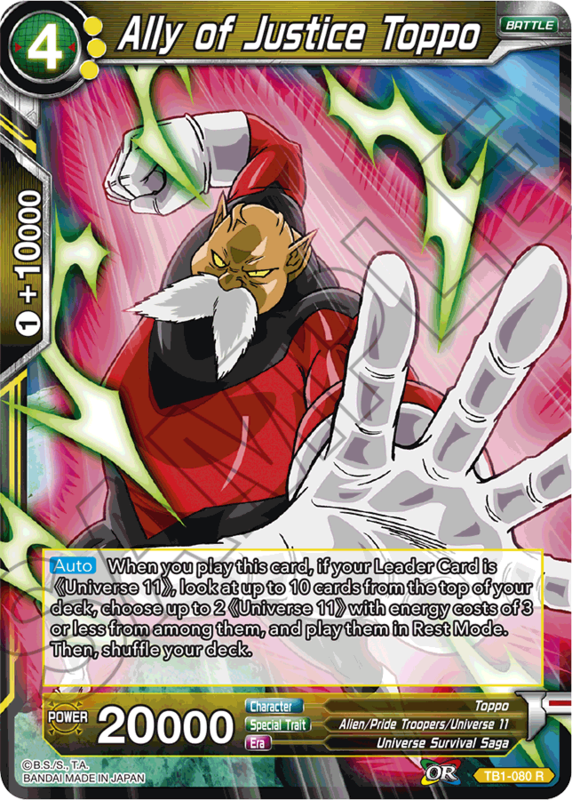 Another good card with Toppo! He has Barrier, allowing you to safely buff him up before attacking! 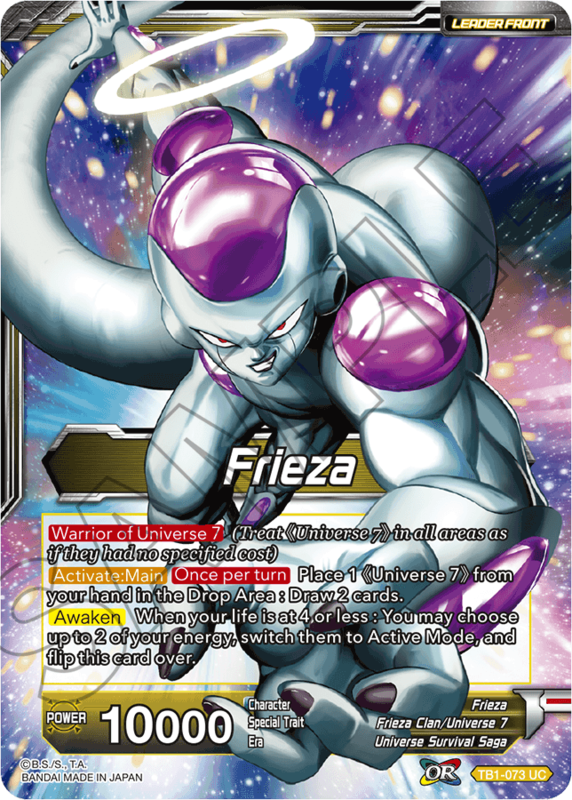 Barrier means nothing against this Frieza! Switch him to Rest Mode to combo off with various yellow cards! Nigrisshi is an useful card which can switch your Opponent’s cards to Rest Mode once per turn! 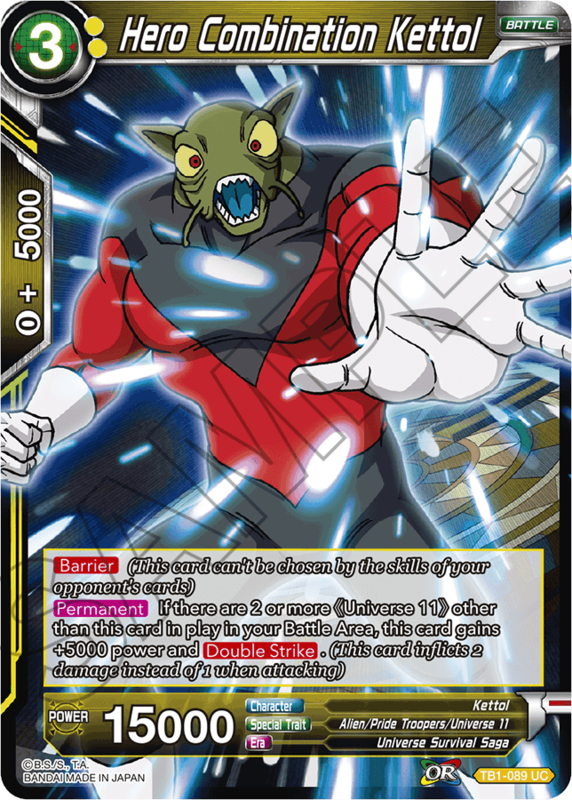 This Extra Card actually has the <<Universe 7>> trait!! 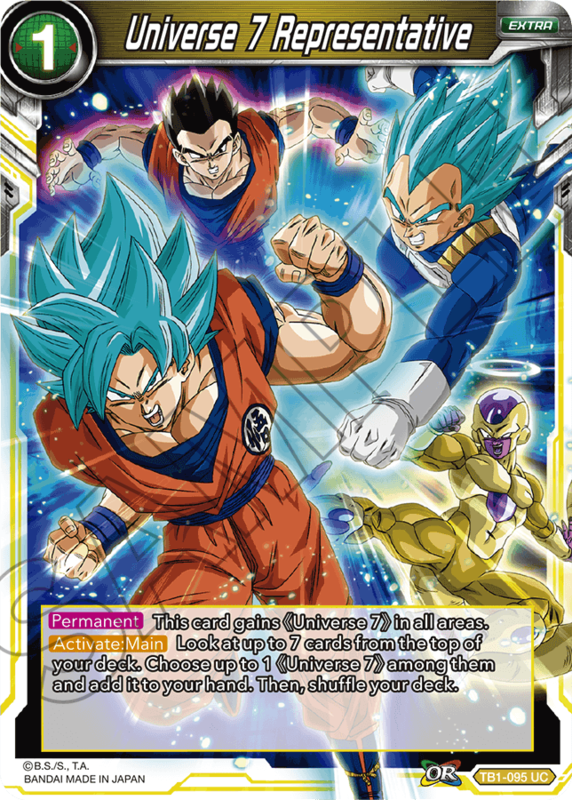 You can even include it in the new Green Goku Leader deck! 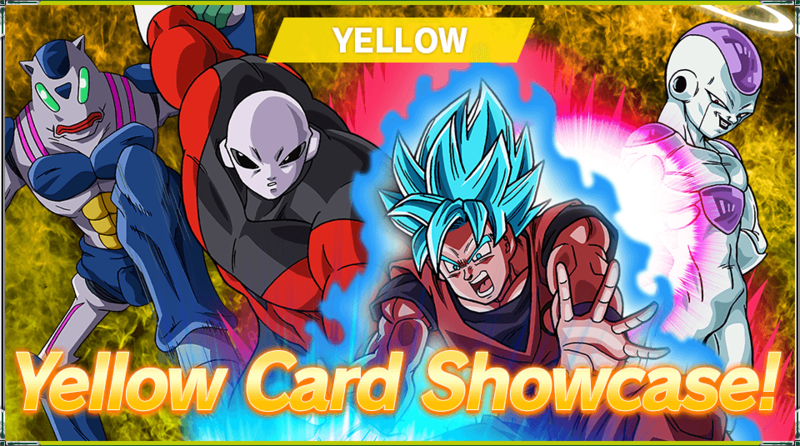 Yellow features cards from Universe 11 and 3!